The well-known British bookies have expanded to the online casino market and Ladbrokes online casino is now available for British players. Unfortunately, players from the USA can't play, but Australian online casino lovers will be pleased to know they have a dedicated Ladbrokes Aussie casino site. Ladbrokes Casino is licensed by the Gibraltar Licensing Authority and brings a wealth of bookmaking and gambling experience to casino players. 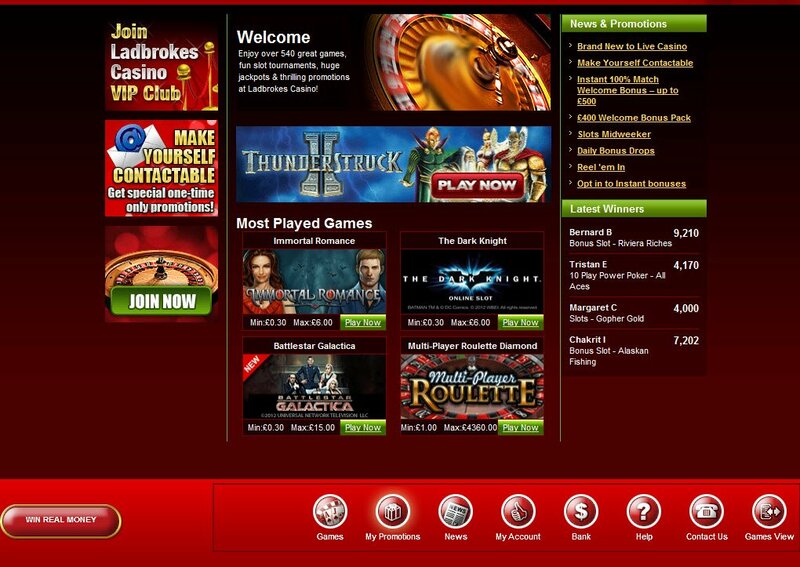 Currently Ladbrokes run on Microgaming, both their download and instant play casinos. Ladbrokes Microgaming Live Casino is a phenomenal place to play for that real live experience from the comfort of your home. 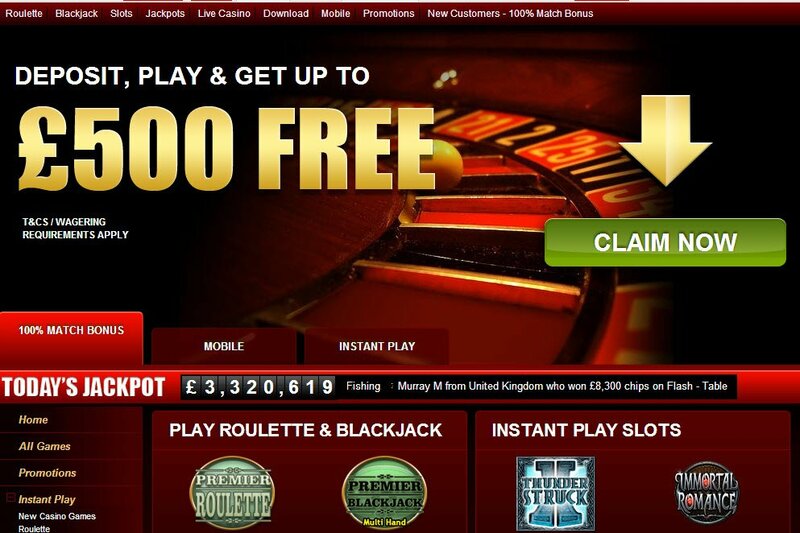 Ladbrokes Mobile Casino runs NetEnt, Microgaming, Openbet and Playtech. They have an unusually wide range of different game styles due to the different software influences. However, Ladbrokes recently made the decision to move from Microgaming software to Playtech software, effective March 2014. As we write, there is no downloadable Playtech Ladbrokes Casino in the making, just an instant play version, named Ladbrokes Vegas. Microgaming slot games, in addition to Playtech slot machines, provide excellent, widely enjoyable gambling to our screens and provide excellent Ladbrokes Casino jackpots and progressive slot prizes. There are increasing amounts to be won on Thor, The Mighty Avengers slot, A Night Out slot and the Ghost Rider slot in Lad Brokes Vegas. There is also a new section, called Arcade Games, where you can enjoy Jackpot Darts Progressive game, Mini-Roulette, Bonus Bowling and Rollercoaster Dice. Some nice old school favourites from after school time spent playing Britain's finest sports in the arcade. The Ladbrokes Vegas Live Casino is also offering £25 free if you play today, so as soon as I finish this review that is what I will do. 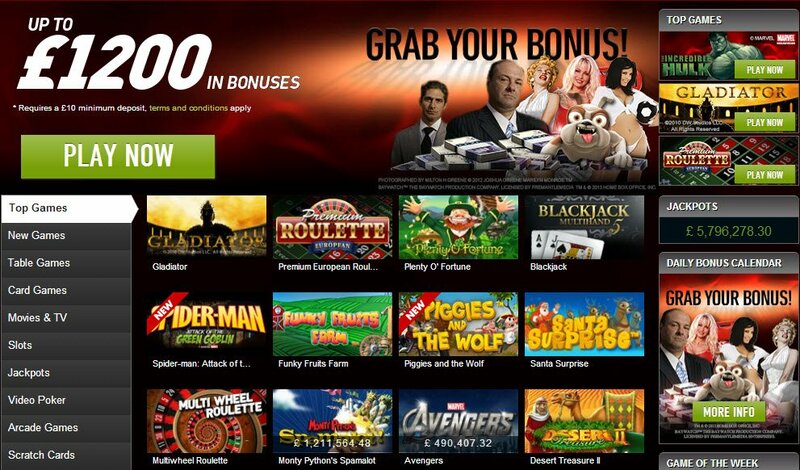 With a £10 deposit, you can get up to £1200 in bonuses from Ladbrokes Vegas Casino welcome package. With a 100% price match on a deposit of up to £500 and a further £400 in bonuses over your 2nd, 3rd and 4th deposit, you are bound to feel welcome. The only thing missing are those free little blue pens you get in a Ladbrokes betting shop. The Ladbrokes Vegas Live Casino is also offering £25 free if you play today, so as soon as I finish this review that is what I will do. Here's hoping I'll be writing a news piece tomorrow about winning the Jackpot with my free Ladbrokes Vegas bonus. Something new every day, that's the Vegas way, says ladbrokes.com, as they give you bonus offers every day of the calendar month, including free spins and cashback refunds. There's also the standard COMP points, where the more you play, the more points you get and the more points you get, the more cash you can turn them in to. Ladbrokes Vegas online casino accepts almost every payment method going, deposit with credit card, eWallet, Ukash, Neteller, PayBox, Entropay, Western Union and even PayPal. Also, credit card transactions won't be charged any fees. There is 24/7 email support and a Freephone number to call for help as well as Live Chat, available after logging in. I do like that this casino accepts PayPal and it has got a great range of Playtech games which is also a bonus for me. Overall it’s a decent casino offering great security and pretty good customer service. The only major downside I’ve found is that they don’t offer a wide enough selection of play bonuses for my taste.